Improve your French and live the windsurf experience! Intensive French course with our native speakers and highly qualified experienced teachers. Communicative approach. Speaking and listening skills, reading comprehension and writing with a focus on speaking skills. Windsurf lessons provided by professional monitors. 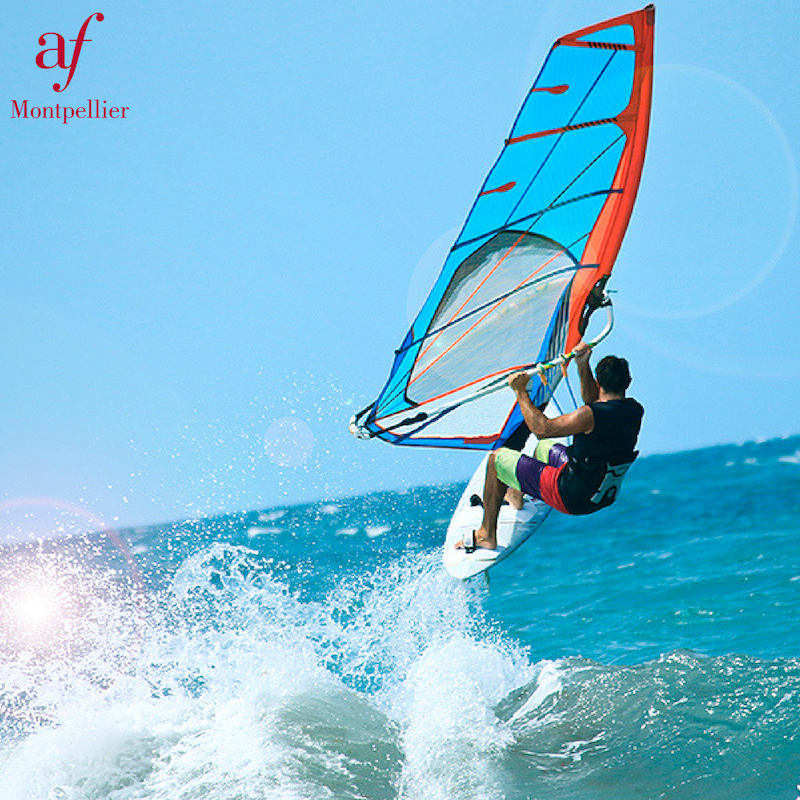 Discover the Mediterranean coast while you practice windsurf in a great place near Montpellier! A wonderful and thrilling adventure is waiting for you! In addition to your course, you can choose the right accommodation for you: host family, room on the university campus or hotel type residence. Transportation:Round trip transportation is included from de Train station of Montpellier to the sites. Coaching: All the activities are supervised by professional monitors. Insurances: the service provider has a professional civil liability. It’s mandatory that all the participants subscribe to an individual civil liability. Learn or improve your French with the Alliance française’s experienced and highly qualified teachers. Activity is open to beginners. For beginners students, first Monday of each month. You can choose the right accommodation for you: host family, room on the university campus or hotel type residence.